Anna Waters, the youngest partner in a Boston law firm, feels her life spinning out of control after a tragic accident takes the life of her unborn child. She works endless hours, distancing herself from family, friends, and especially her husband. In quick succession, she finds herself divorced and jobless. Just when she thinks she has nothing left, a dream beckons her to take a life-changing journey. Completely alone, she leaves everything she knows and drives to the countryside of South Carolina. She first meets Clark, a common soul who knows all about grief. He helps her deepen her understanding of spirituality, which sets in motion a journey of self-discovery and hope. Along the way she befriends an adorable girl named Lucita who not only captures her heart, but also helps absolve the pain of never knowing a daughter. Her refuge isn’t without complications: love triangles, alcoholism, jealousy, and sickness find a way into all their lives. These difficulties force Anna to look deeper and deeper within her soul, facing the ultimate question . . . Once I learn to love myself, will it really be enough? Ambitious Anna is the youngest partner in her law firm. She and her husband Frederick both have lucrative careers, a beach house, and an enviable life--from the outside. What isn't enviable is the personal tragedy they are both crushed by daily. The Refuge by Heidi Martin describes how the tragedy touches every part of Anna and Frederick's life together, threatening to tear them apart. When Anna starts having strange dreams and longing to leave her native Boston, she wonders what it is all about. For so long, she has defined herself by her career success, and is not sure what will happen when she ventures outside the boundaries of her current life. Heeding the tug she feels to leave the city, Anna is introduced to a life she never thought she would have. Against the advice of her well-intentioned sister Julia, Anna opens herself to a new way of living in South Carolina. Along the way she meets a lovely little girl and a generous neighbor. Anna's experiences bring up new questions for her. How long can she put her old life on hold? Can she find real healing from personal tragedy? Who is she really meant to be? Is her concept of love all wrong? The Refuge is an intriguing book. It contains love stories but it is not strictly a romance novel. It highlights some aspects of Ms. Martin's personal life, but it is not an autobiography. It discusses spirituality, but it is not a religious work. My favorite part of the story is its deep character development. Anna is not portrayed as a damsel in distress, waiting to be rescued by being swept off her feet. She is a realistic, relatable heroine facing difficult human issues. While she desires romantic love in her life, she is not ruled by her desire. The unique relationships portrayed in the book, along with the relatable heroine make The Refuge a different kind of novel. 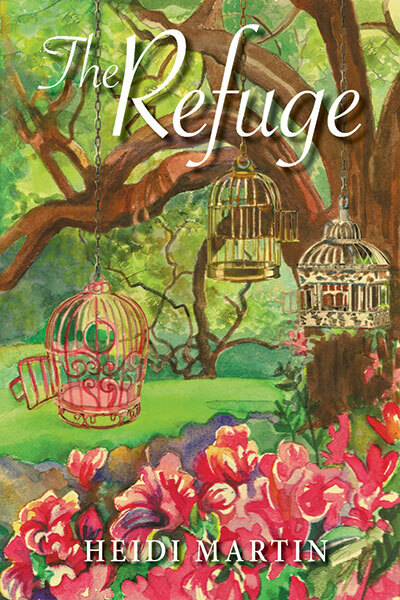 Readers looking for inspiration will enjoy The Refuge, as it chronicles one woman's journey to forgive herself and find self love. Through genuine relationships and well-rounded characters, Anna discovers the value of second chances, spirituality, and giving and receiving love. Readers who subscribe to one particular faith may not like the story, as it incorporates elements from many different religions and gives each one equal value. Love love love this book! I didn't want it to end!! I loved the characters and turn of events as they played out in the story all the way to the end. Love how the discussion of spirituality is explored without putting down any religion. Lots of diversity in characters and their stories that make all of them interesting as they unfold - just like getting to know someone who becomes a good friend. Highly recommend this book. I want to get more copies and then send them to all my hard working friends - and my family and friends that may need a gentle way of exploring spirituality and still honor their religious beliefs- a lot of who could be the characters in this book. Seriously, great read. Wish there was more- Thank you Hedi Martin! 5 out of 5 stars Love this book! Must read! The Refuge isn't just a book, its an experience, and you won't want it to end. Reading the story of Anna Waters journey of self discovery became my own journey of self discovery. Heidi Martin, in such a delicate and beautiful way, reminds us that we are our own refuge and by following our hearts, we have everything we need to find our way there. With characters that jump from the page and a beautiful and inspiring story line set in coastal South Carolina, you will escape to all the love, hope, and promise of Anna's journey of finding herself, discovering new friendships, and the joy that comes from self discovery. Reading The Refuge actually felt like a refuge. 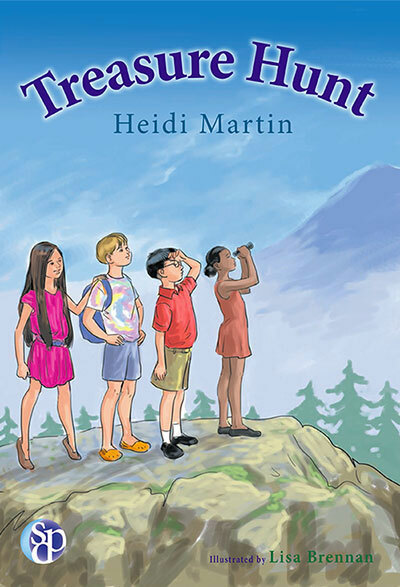 Heidi Martin brilliantly manages to coax her readers to look within themselves, to find ways to quiet their minds and find their true paths - and she does this all while weaving a heartfelt story of pain, loss, and ultimately, peace. The Refuge has inspired me to follow that voice inside me, a voice I've long ignored. I'm thankful to the author for teaching me to be quiet, and listen. Treasure hunt, treasure hunt, on our way …. And so the adventure begins in this playful story. Readers take off with a group of curious schoolchildren who have embarked on a field trip of exploration which takes them over the river, through the woods, and into a dark cave in search of an unexpected treasure. Children of all ages will delight in the lyrical text and vibrant illustrations as they follow along and discover just how much fun a treasure hunt can become! PUBLISHED BY SDP PUBLISHING AND ALSO AVAILABLE IN E-BOOK FORMAT. PUBLISHED BY SDP PUBLISHING AND ALSO AVAILABLE IN EBOOK FORMAT.